Microsoft Azure Blob Storage provides a simple and affordable method to move on-premise files and data to the cloud efficiently with the ability to scale up as the business dicates. For years’ companies bought storage to solve an issue i.e. additional NAS storage, increased SAN storage etc. Over time, this created storage islands each with its own set of rules and administration, with the advent of multiple networking and storage protocols this only exacerbated the issue. 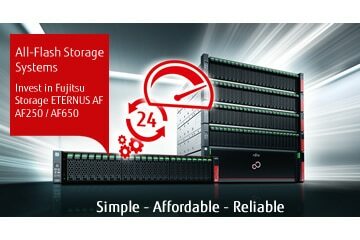 Datacentres grew along with the associated additional running costs to power, cool and maintain these systems. Monitoring, administering, continually backing up and maintaining these storage islands become an increasingly problematic issue as companies grow through acquisition or organic growth and the sheer number and variety of software applications running on these systems and the associated growth that entails. Due to the proliferation of storage platforms these systems contain data accessible via command line, network, share, database etc. The problem is that there is no tool that seamlessly has access to all the data residing on these systems. Ideally, a solution with the ability to consolidate these storage islands and archive the data would be advantageous. There are no companies in the FTSE 100 that started their business 100% based on cloud solutions. They have important data, emails and files stretching back decades that needs to be kept due to corporate governance, intellectual property, intrinsic value etc. This information resides on storage islands that should be switched off as they can no longer be supported or have outlived their usefulness, these legacy systems still need power, cooling and take up rack space. The issue is how do we ensure access and availability to this information in the future? Every new application we introduce to our IT infrastructure creates data. Data needs backing up and involves additional disk space for both the application and backup, this sometimes requires a new storage device for the application and backup. We may need additional backup software licenses, a maintenance contract for both our software and hardware. Can our WAN bandwidth handle the increased requirement to replicate data offsite or the LAN need to be upgraded? Finally, the new application needs to be added to our backup regime and monitored in case of failure. Unstructured Data is the biggest headache today for any company trying to control and manage data. The unstructured data consumes over 70% of all information stored and is growing at 61% per annum! How companies identify this data is of vital importance to find whether it has an intrinsic value to the business or the next lawsuit waiting to happen. Firstly, we need to identify the types of unstructured data and where it currently resides and this is typically spread across many storage islands. Wouldn’t it be great if we had tools that could help users make better use of this information? Traditionally data has been kept in folders using i.e. NAS storage. This data could be financial, scientific, legal, projects etc. The issue is the information relating to these categories doesn’t contain everything, typically other related information is stored on other systems i.e. Email resides on the mail server, attachments, notes, calendars are all held on other systems. Wouldn’t it be great if you could have everything to do with a legal case in a single place, how much time would this save? Increasingly companies want to move to the cloud, the issue is how to maintain continuity with their historical systems and storage islands with all the benefits the cloud brings. The difficulty is how we move, search, access and index data in the cloud whilst maintaining the legal compliance and regulations around data. 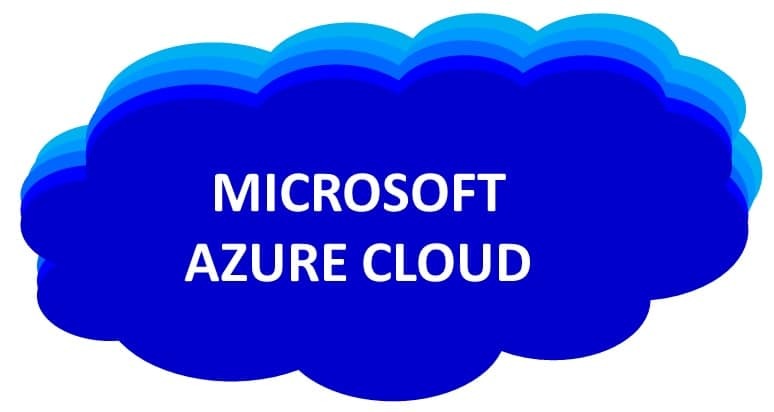 The Microsoft Azure Blob Storage provides a simple, secure and effective way of having access to your data and information 7x24x365 from anywhere with an internet connection. Simple access to unlimited storage, processing power and applications makes this a compelling reason to move. Companies are increasingly moving to the cloud to reduce their own IT in-house systems, ease administration; the issue is they do not want to be tied to using expensive cloud storage. The perfect balance for business would be to store as i.e. 60 days of data locally and thereafter move it to the cloud but at the same time be always available. Or keep everything in the cloud and replicate 60 days of data locally. The reason is in the unlikely event you cannot access the cloud the business can continue to operate and run. Microsoft SharePoint is a collaboration tool allowing employees to create sites to share documents and information with colleagues, partners, and customers. There are storage limits that Microsoft applies for site collections and Office 365 Groups and this is up to 25 TB per site collection or group. Our solution allows you to expand these limits beyond these restrictions. E-mail is still the most common method of business communication today and predominately this is based on Microsoft Exchange. Our solution allows for Exchange archive/journal data to be stored in the cloud but still transparently available to users and administrators. Moving to the cloud makes sense if your existing IT infrastructure and systems need replacing or upgrading, unpredictable storage growth, your applications do not need sub millisecond access, tired of increasing software and maintenance charges or require 24×7 global access. You will also save on real-estate, no more floor space for systems that require constant cooling and power. Reduce backup software and hardware licensing and support. Wouldn’t it be great if you could simply move your data from your on-premise systems to the cloud? This data would be moved, indexed, catalogued and searchable the same as if your IT systems were still in-house but now it all resides in the cloud, organised, accessible and secure. Well at Fortuna Data we have a SaaS (software as a service) solution that provides all the advantages above in a simple, affordable and easy to use application that takes advantage of Microsoft Azure Blob Storage. We also provide BaaS for Office 365 backup for customers as a separate solution and Exchange to Office 365 migration solutions. We provide product demonstrations and site visits to discuss your requirements in more detail. If you would like to learn more please call us on 01256 782030 or email sales@fortunadata.com for more information. 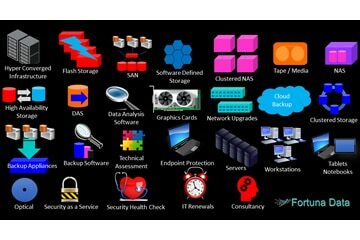 Please download the Fortuna Data overview of the types of data storage and IT solutions we provide. View our infographic on HYCU software for complete data protection for Nutanix and VMware. HYCU Software infographic.